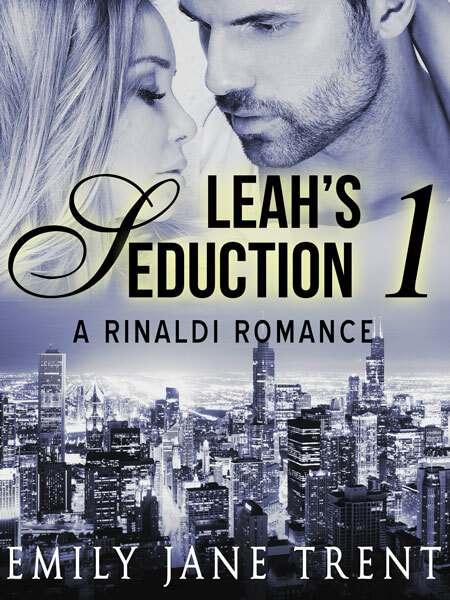 Beetiful redesigned the book cover for Leah’s Seduction: Book 1, the first book in Leah’s Seduction series by Emily Jane Trent. 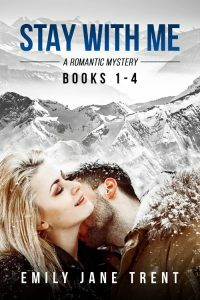 The cover needed to resemble the other books in the series and the image of the featured couple needed to be changed. Wealthy entrepreneur, Gianni Rinaldi, meets a woman that doesn’t appear to be his type. 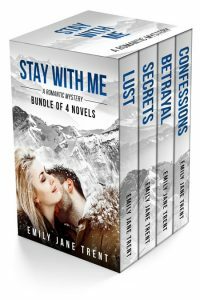 He pursues her, thinking she might be the author of a journal he has become obsessed with. 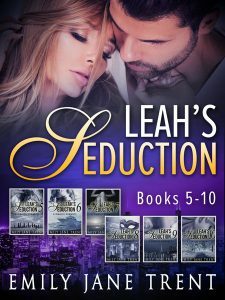 Leah Ivers is the woman he seduces. At first, his goal is to determine if she wrote the sexual fantasies in the diary. But the way Gianni and Leah respond to each other takes the relationship deeper, and both get more than they expect. Gianni Rinaldi is one of the most eligible bachelors in the fashion scene in New York. By accident, a journal filled with a woman’s most intimate fantasies falls into his hands. He is driven to find the author of the sensual writings when he meets Leah, and suspects it might be her. 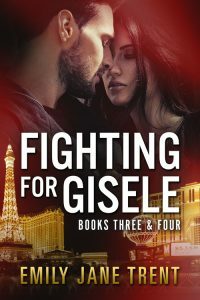 The quest to discover if she is that woman unexpectedly turns into a sexual relationship that quickly spins out of control. Will the woman he wants submit to his terms? Leah Ivers has landed a job as a marketing coordinator in one of the fashion showrooms of New York. 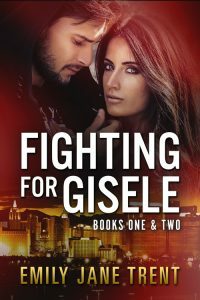 Her passion bubbles to the surface when she meets Gianni at an industry event. 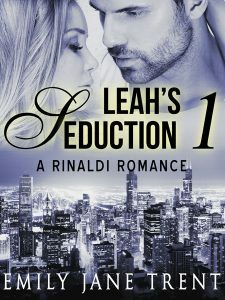 Knowing she is not his type, Leah is surprised by his interest in her. Intimate encounters make it clear that he can satisfy her as no man has before. How much is she willing to give up, in order to have him? 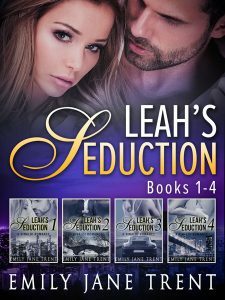 Get Leah’s Seduction by Emily Jane Trent today!